"Alex and Aki's fantastic new cookbook expands the realm of what you can accomplish in a home kitchen." 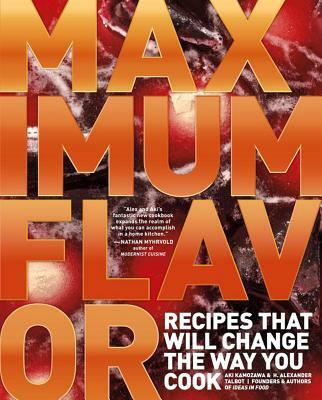 "Their new cookbook, Maximum Flavor, is filled with specific recipes for steaks, cakes, breads, pickles, and soups, but the book is exciting if each recipe is used as a jumping-off point for experimentation. There's a technical trick embedded in just about every dish in the book that not only helps improve the recipe itself, but it also can be read as an idea on its own…Whichever path you take, there is still plenty to learn."